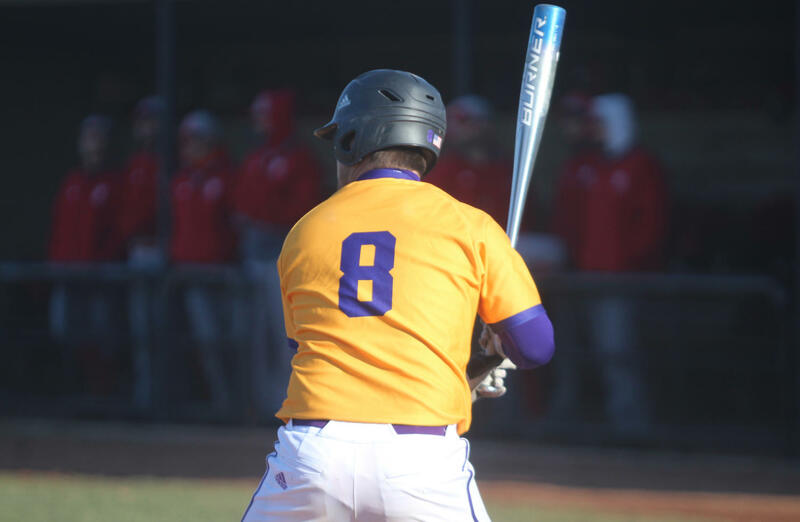 This weekend, the Western Illinois University baseball team looks to sweep a three-game series against North Dakota State. The Leathernecks (6-12) take on the Bison (2-11) at Alfred D. Boyer field on Friday at 3 p.m., and both Saturday andSunday at 1 p.m. The Leathernecks are 1-2 in conference play this season after a homestand against South Dakota State over spring break. Hoping to turn things around, the Leathernecks will need senior Bailey Montgomery to stay hot with the bat. In their last game, Montgomery went three for three at the plate, scoring three times for WIU, and managed to steal a base as well. This will be something that the Leathernecks will hope that not only Montgomery manages to replicate, but the entire line-up as well. The Leathernecks had no problem last game putting the ball into play as they won a decisive victory over Iowa Wesleyan, 16-3. Wesleyan got out in front early, scoring one run in the top of the first inning. This would be their only lead of the game. The first two men reached base for the Leathernecks, leaving men on first and second when Montgomery came up to the plate and singled to center field. This single scored the man on second, Kevin Raisbeck. Montgomery went on to steal second a couple of batters later, right before he was driven in by a single to the left side by CJ Schaeffer. Schaeffer would end up scoring along with Steve McShane on a Drue Galassi triple down the right field line. That was the last time for scoring by either team, until the Leathernecks added on three more runs in the bottom of the third, one more in the bottom of the fourth, three more in the bottom of the fifth and five more in the bottom of the sixth. The game was called in the seventh inning by mercy rule. The Bison, on the other hand, are coming off of a three-game series against Omaha that saw the Bison on the losing end of all three games. After managing to put up six runs in their first game, the team only managed a combined one run between the two other games. This will be something that our Leathernecks should look to take advantage of. After starting out the season 2-7, our Leathernecks have managed to turn things around, going 4-5 in their last nine games. Two of those losses were to nationally ranked Arkansas and another loss was a close game with South Dakota State, who’s sitting one spot above the Leathernecks in the conference at third. With the Bison sitting with only two wins, our Leathernecks should look to sweep all three games this weekend. While they can’t go into the game with a laid-back mentality, this series should help us get back towards the top of the standings in the conference. With a lot more games left in conference play, three wins here should boost the team’s confidence and help gain momentum towards the season.